14°C, rain, non-stop & heavy. 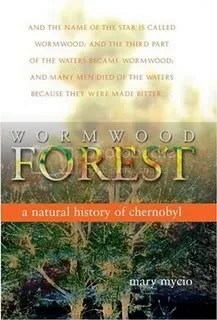 Wormwood Forest: a book on the natural history of the Chernobyl exclusion zone. It’s the first day of our long summer holiday- and this is my summer read. Time will tell how good it is, the book is not well illustrated, but there’s more to life than pictures. Waterstones weren’t of much use today; all I wanted to do was browse books on the Chernobyl disaster, but they are proving very scarce. Unfortunately, it is not a valid win32 application- does that mean Vista 64 only? Windows have updated this blog interface, it looks all Vistalich now- but it takes longer to load.